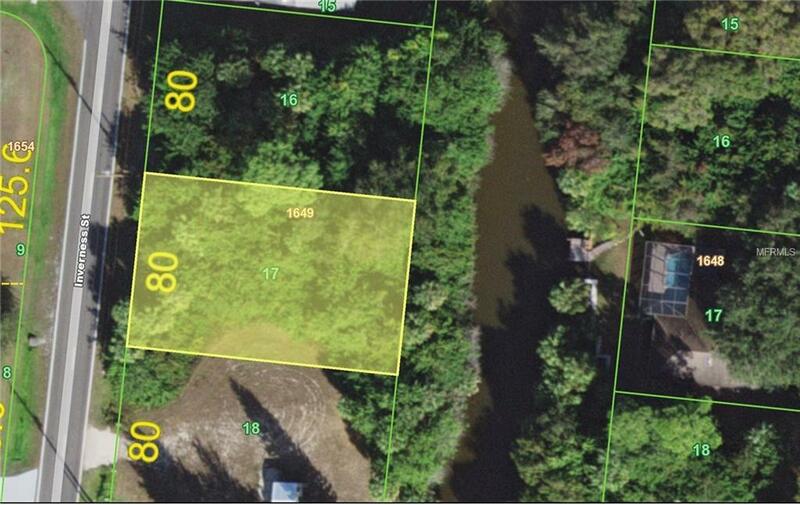 Great 80 x 125 waterfront lot situated on a freshwater canal. County water available, septic required. Quiet area of existing homes minutes from shopping, dining, medical care, waterfront parks, fishing piers and entertainment. Easy drive to golf courses and Gulf beaches. 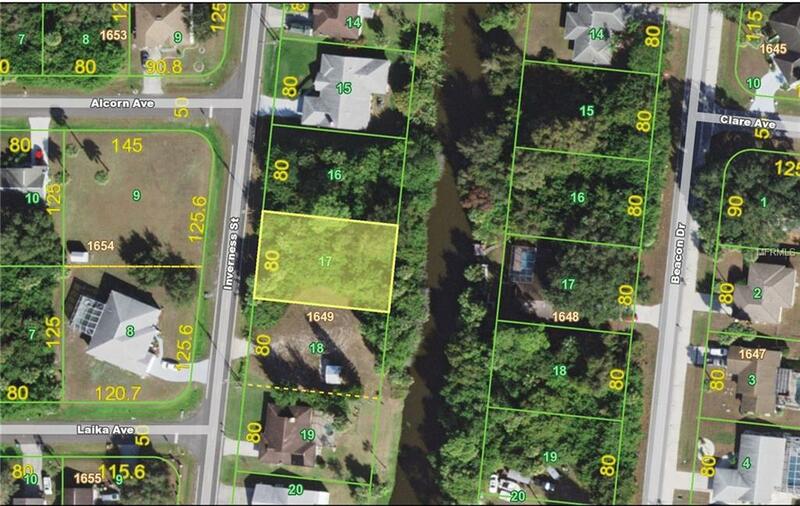 Adjacent lot #16 (1392 Inverness St ) is also available for purchase at $12,500. (MLS # C7401822) This lot is also 80 x 125. Purchase both lots for a spectacular parcel. Discover what the Florida lifestyle is all about!